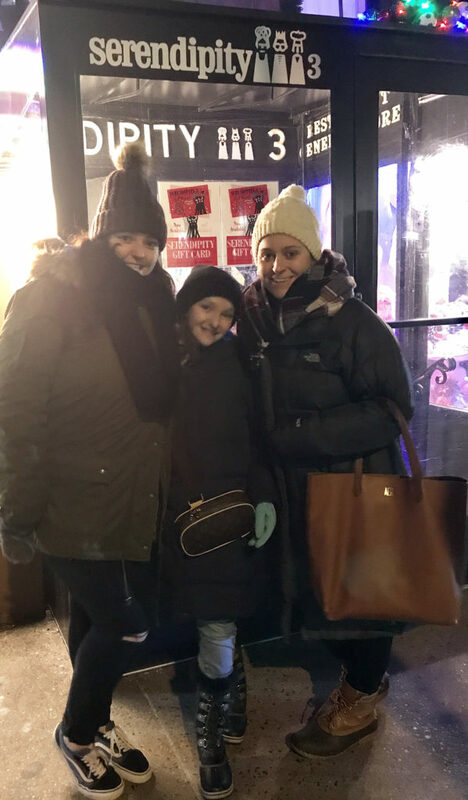 If you read yesterday’s post you know that our family traveled to New York City over the holidays. 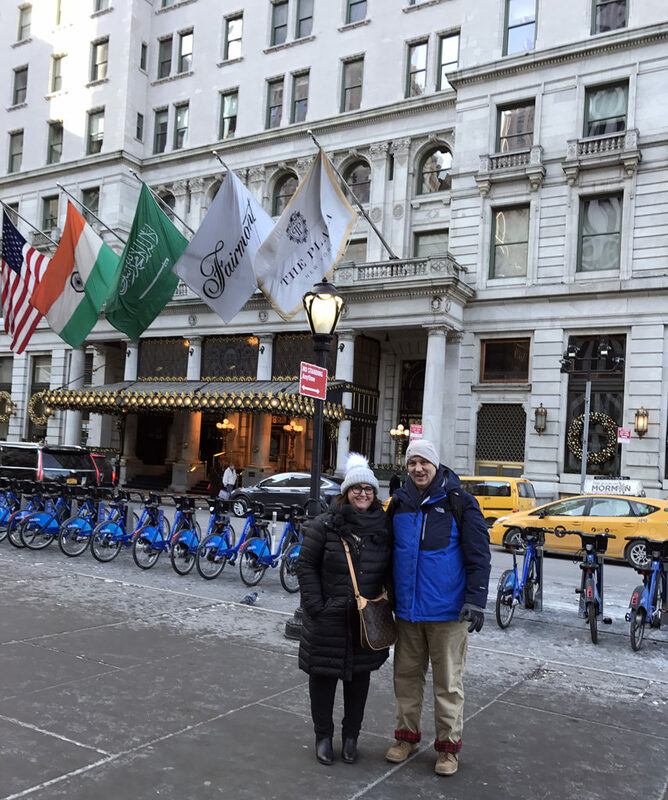 I shared all the THINGS WE DID while in the Big Apple…Times Square, Statue of Liberty, a Broadway show, etc. Audrey suggested that we have lunch at by Chloe the first day we were in NYC. 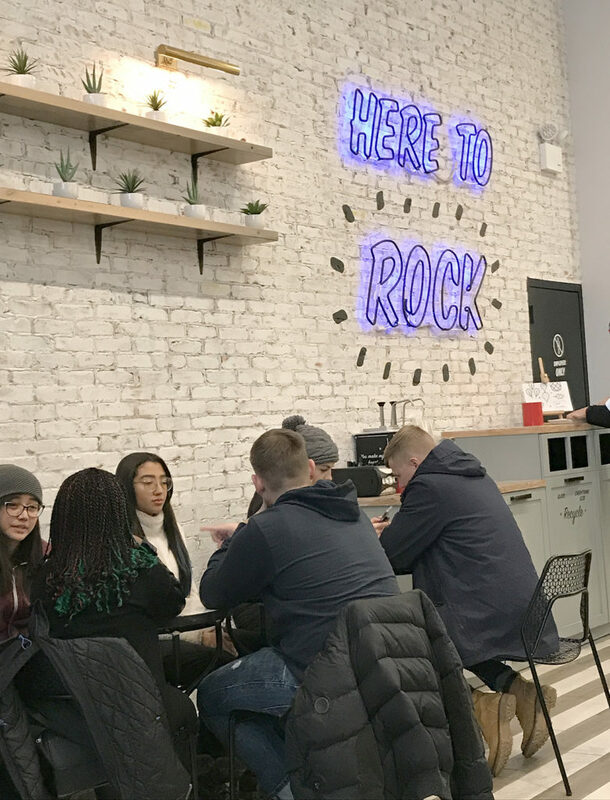 They have a few locations…we went to the one near Rockefeller Center. 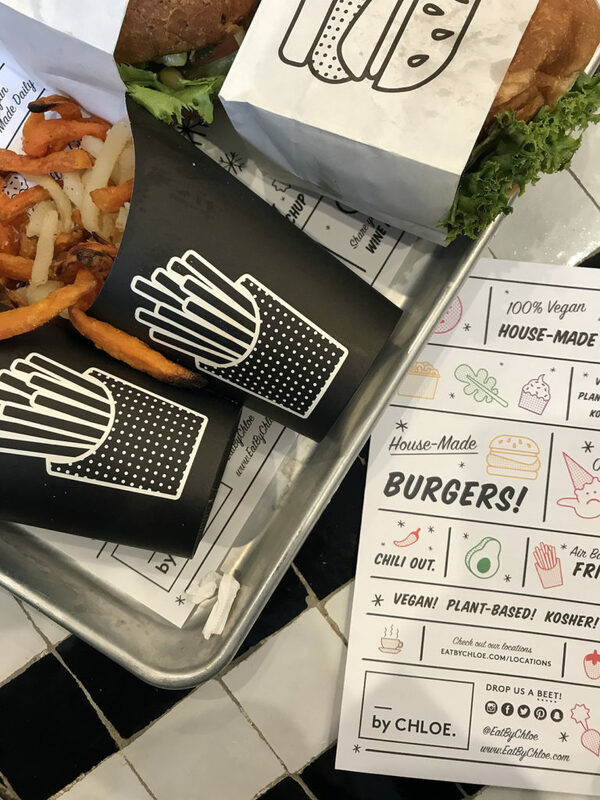 It is a vegan, plant-based restaurant…but you’d never know it! My “burger” and sweet potato fries were delicious! In fact, everyone loved it! 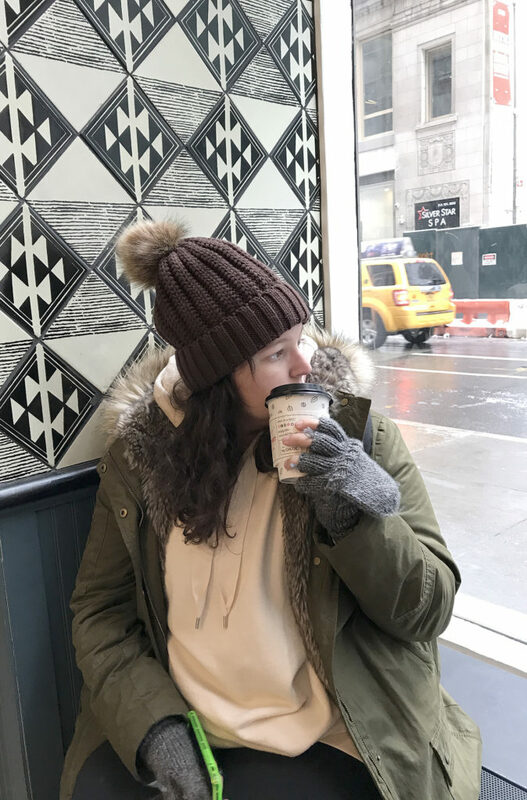 I also ordered a peanut butter hot chocolate to take with me when we left…so yummy! 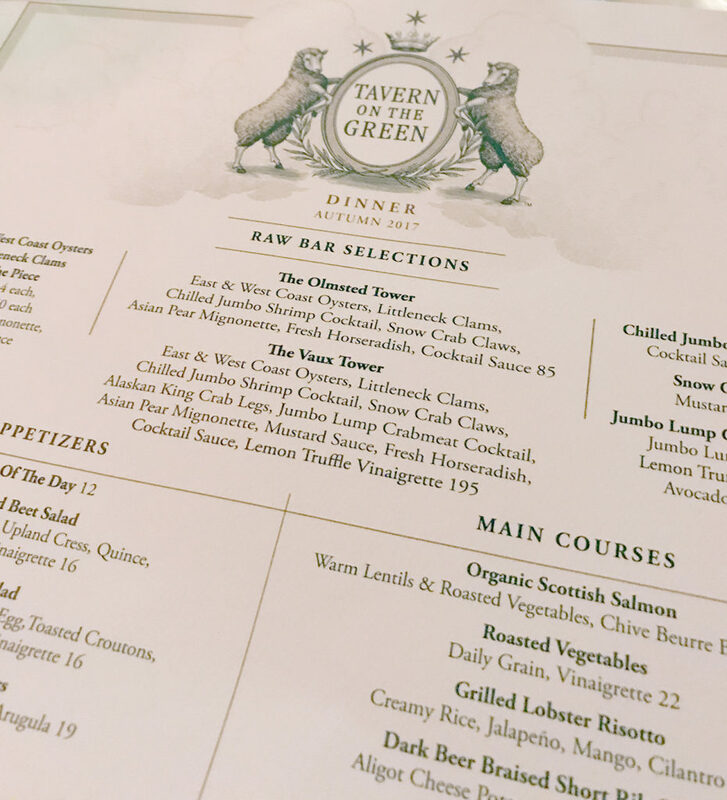 A trip to NYC isn’t complete without going to the iconic Tavern on the Green. Located in Central Park, there are great views of the park and beyond. And the food is pretty good, too! I ordered the lobster risotto. Funny story…there was a truffle risotto available that evening, at the cost of $150 for the entree. After I ordered and the waiter walked away, Grace was flabbergasted that I would order such an expensive meal! 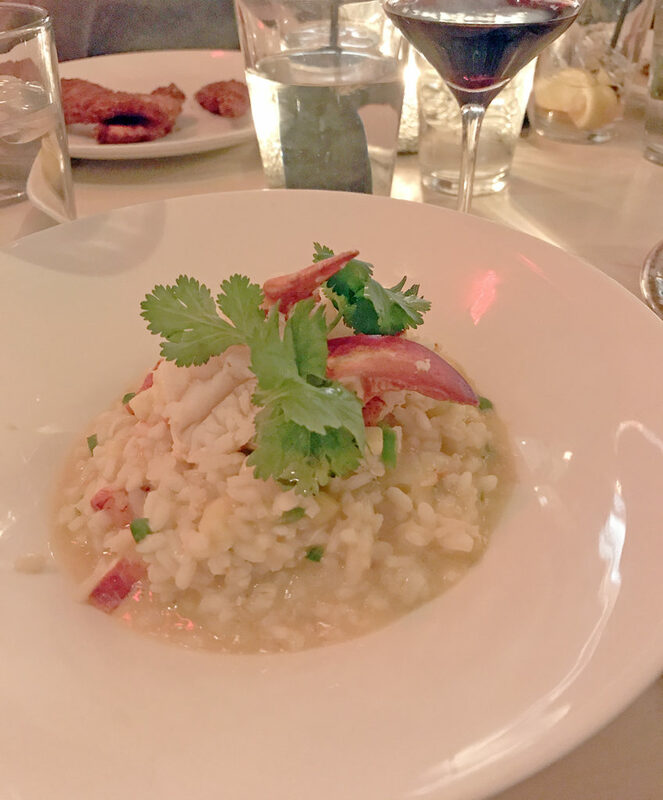 When she realized I chose the LOBSTER risotto, she was a bit relieved! The Cantina was just down the street from the apartment we rented through airbnb. 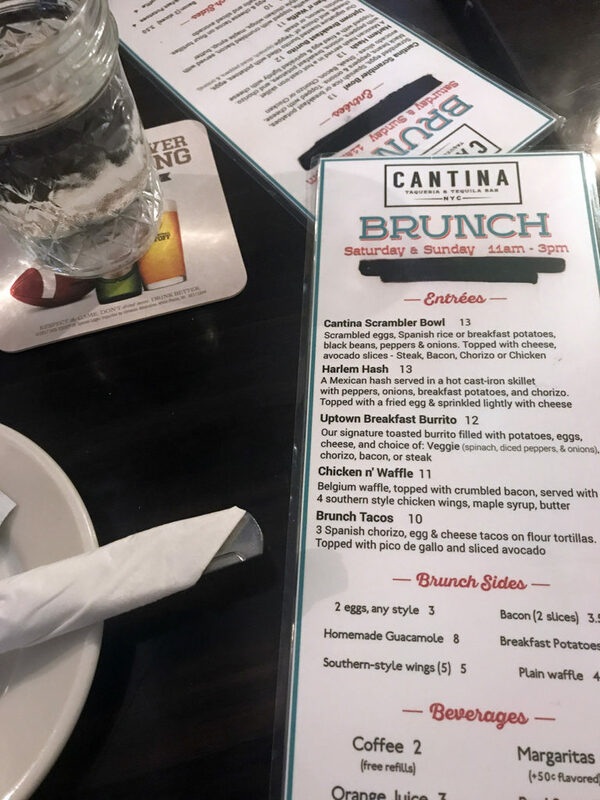 We stopped in for brunch one day, not knowing what to expect. The service was wonderful, and the food even better. 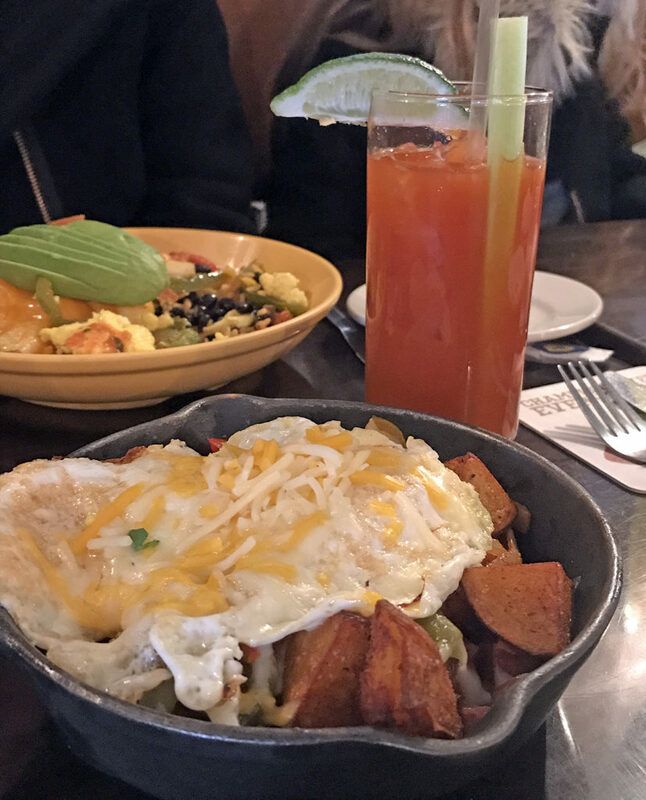 I ordered the Harlem Hash…just the right mix of flavors and so filling! Our waiter even brought some tacos for us to try “on the house.” If you’re in this part of the city, I would recommend going there! 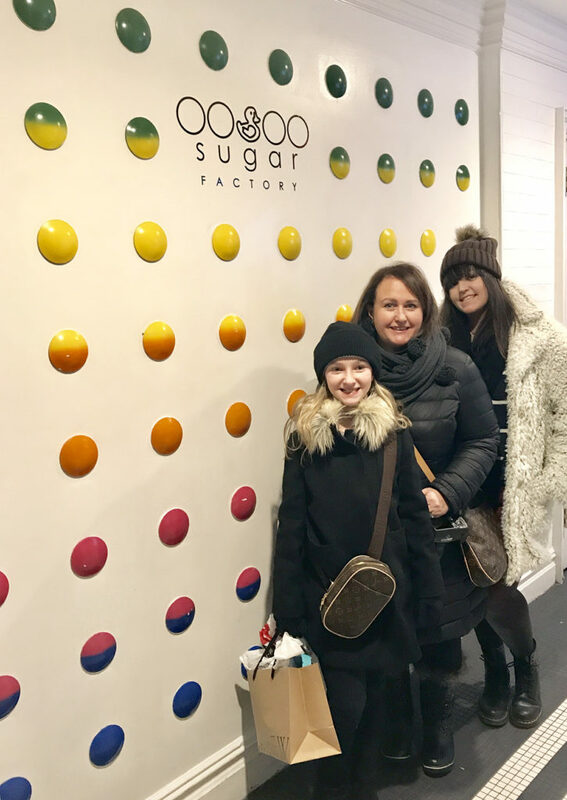 I know there are several locations of Sugar Factory…Claire and I almost went to the one in Chicago when we were there for her birthday, but we ran out of time. 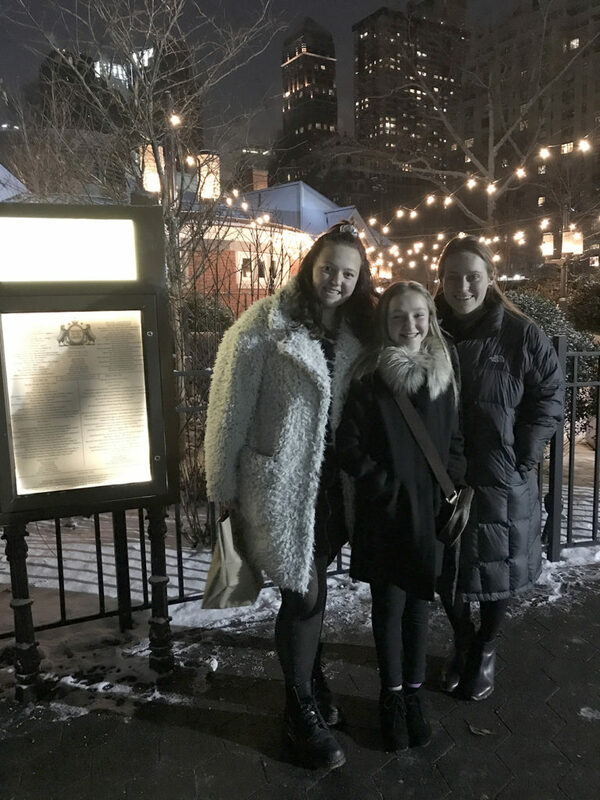 So we decided to check out one of the New York locations on New Year’s Eve. Aside from the fun and colorful goblet drinks (which we shared as a family), they also have great food! 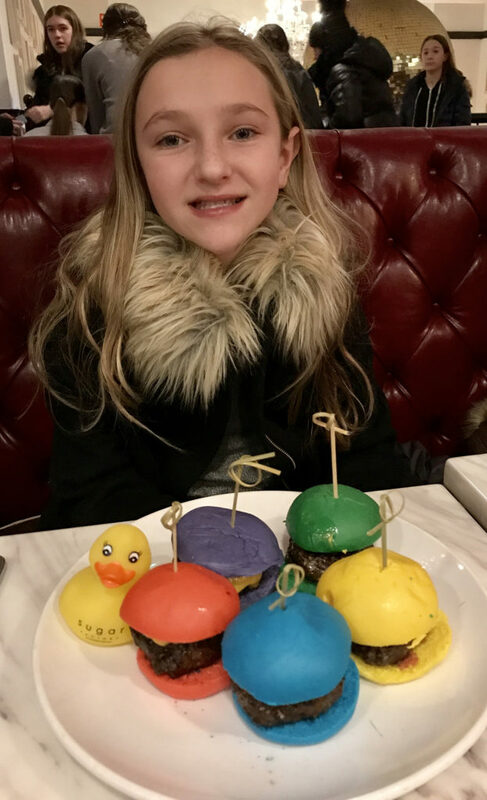 Claire ordered the rainbow sliders…so cute! 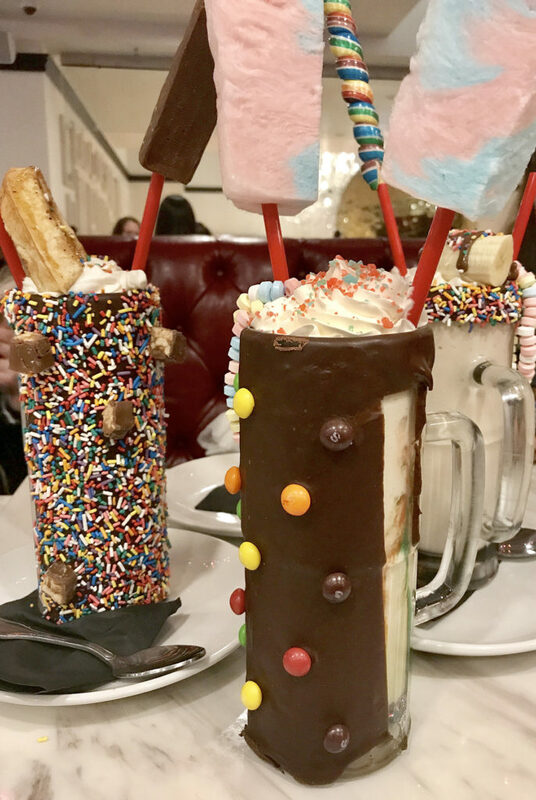 For dessert, we indulged in a few of their over-the-top milkshakes. And trust me…they tasted as good as they looked! 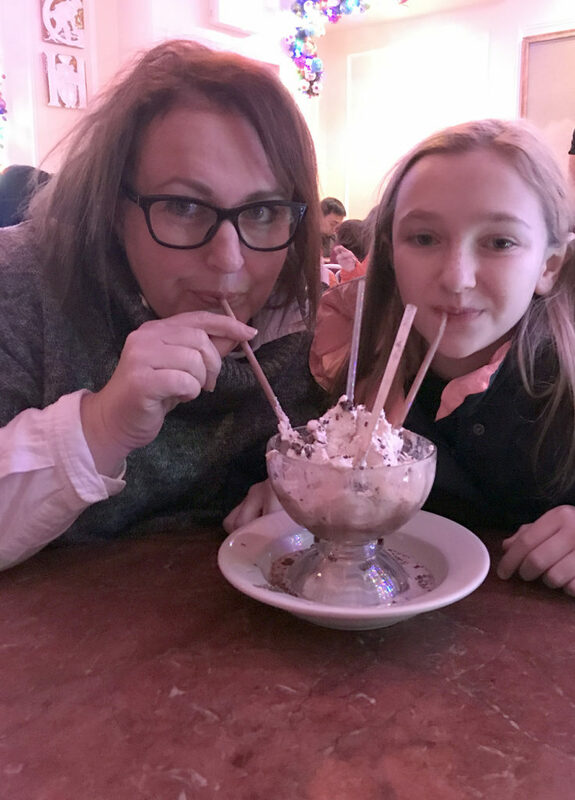 Another iconic NYC restaurant is Serendipity 3, which is famous for it’s frozen hot chocolate. And even when it’s eight degrees outside, they are the yummiest beverage in town! 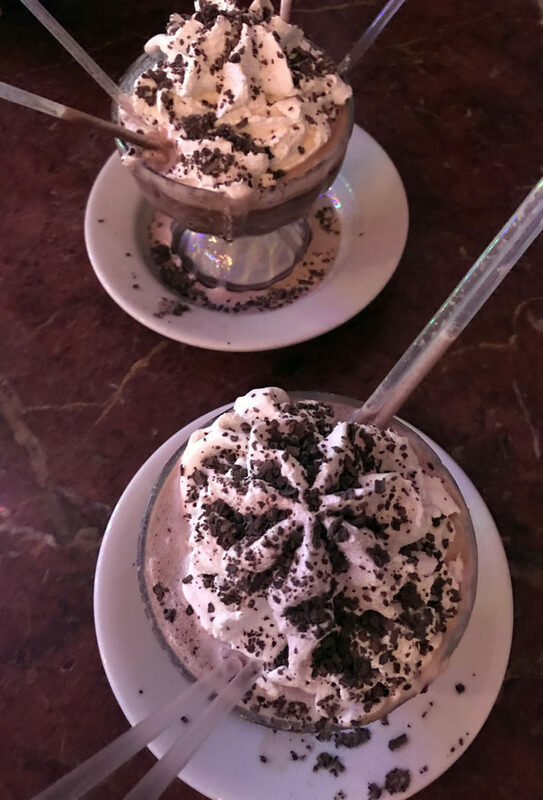 The hardest part of going there is choosing between the original frozen hot chocolate OR the peanut butter frozen hot chocolate…decision, decisions! 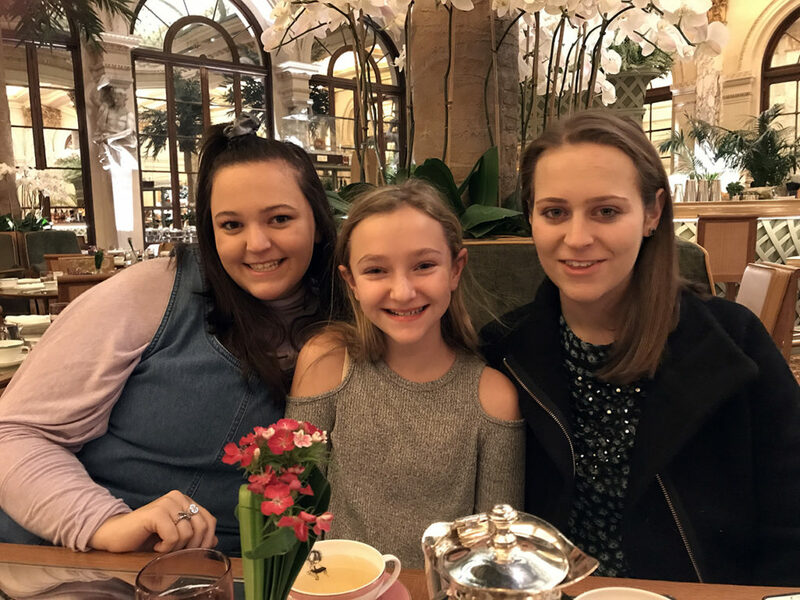 We originally thought it would be wonderful to have afternoon tea the Palm Court at the Plaza, but it wasn’t going to work with our other plans that day. 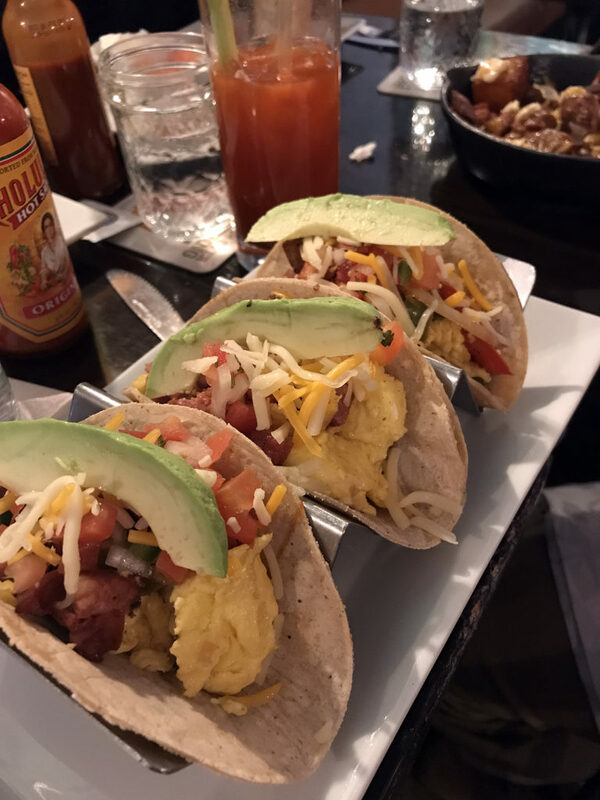 Instead, we went for brunch. 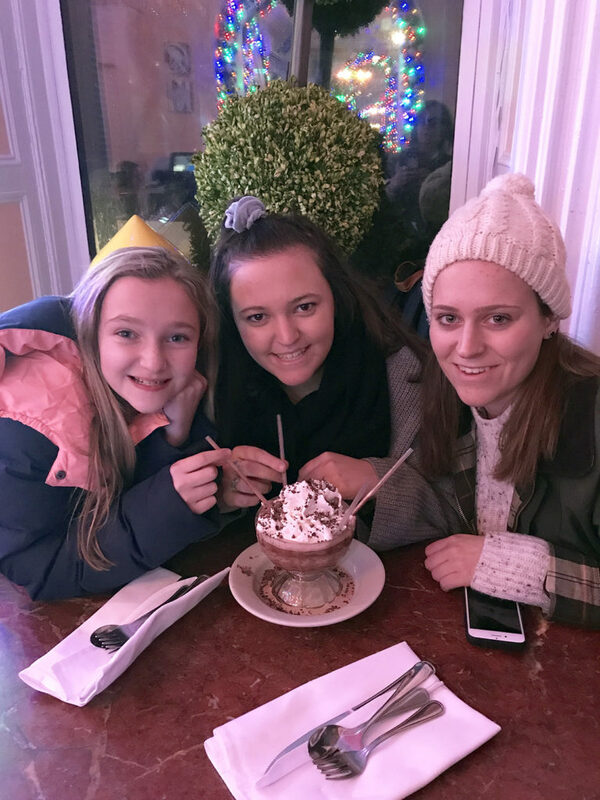 Of course, the girls talked about “Kevin” from Home Alone, as well as Eloise while we were there…the most famous residents of the hotel. 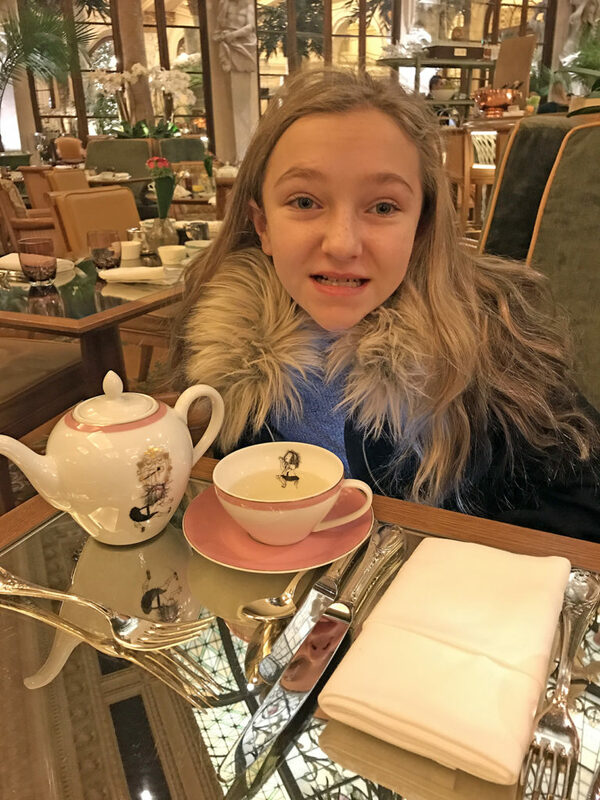 In fact, Claire ordered the Eloise tea, which was served in an adorable Eloise teapot. 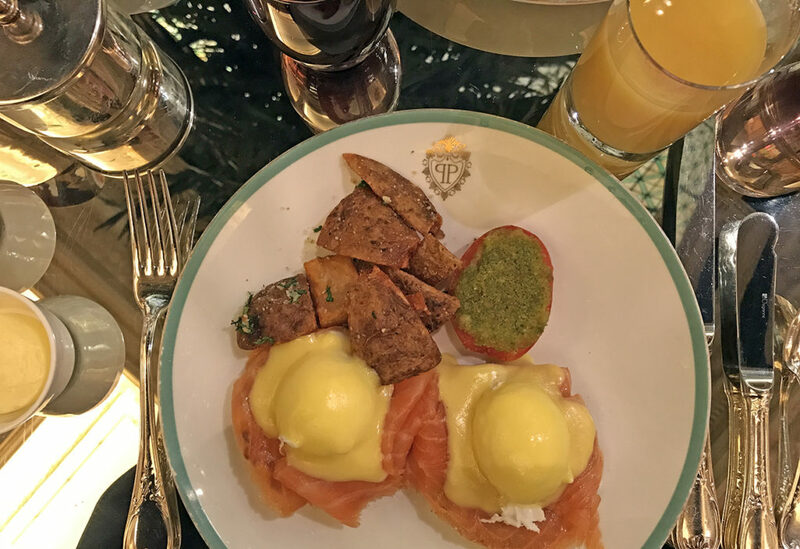 For brunch, I ordered the salmon eggs benedict. The Palm Court is beautiful, with lots of natural light. 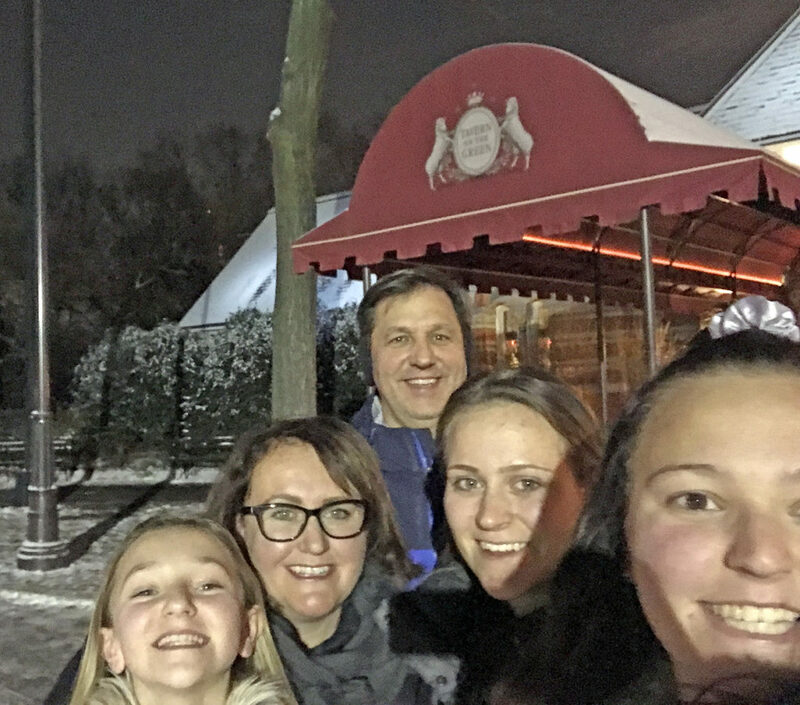 Our family definitely enjoyed our time there! 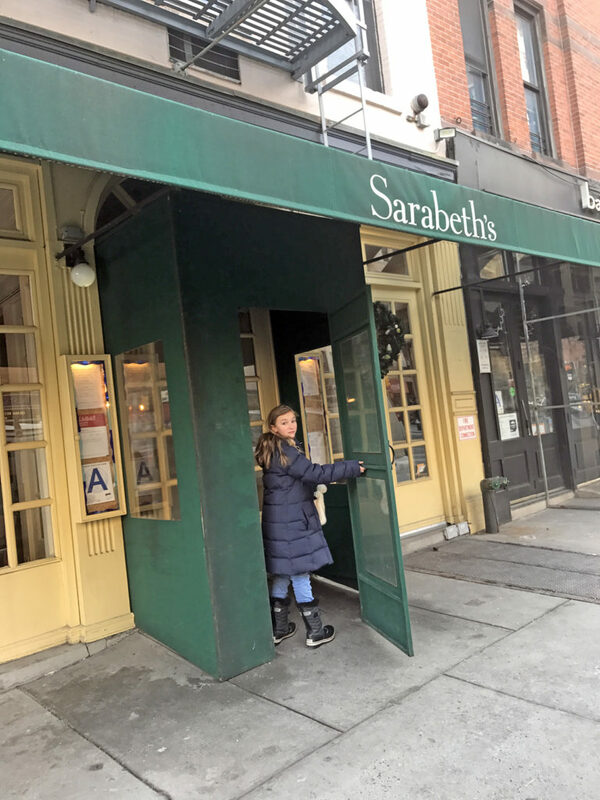 Sarabeth’s was another suggestion by Audrey. 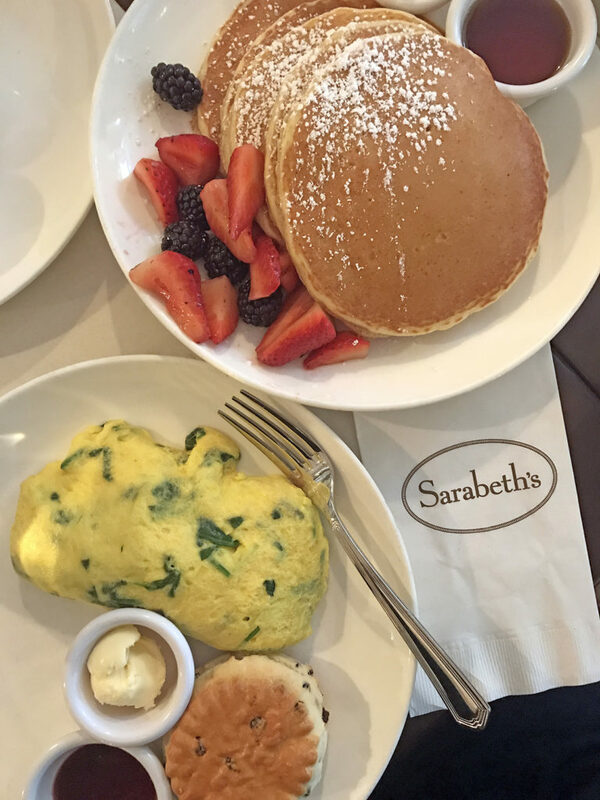 I mean, how can you go wrong with brunch…spinach omelettes and lemon ricotta pancakes! The crisp white and black decor is sooo New York. I’m glad she suggested it! Did anyone else get hungry reading this? I started Whole 30 this week…so I’m really craving one of those frozen hot chocolates! 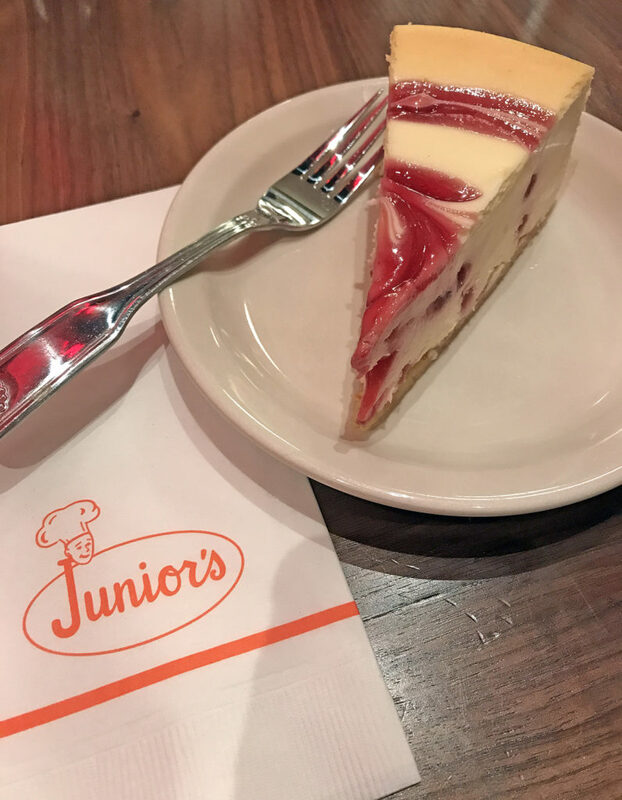 We have great memories of the places where we ate in NYC…it isn’t all about the food, but also about the experience! 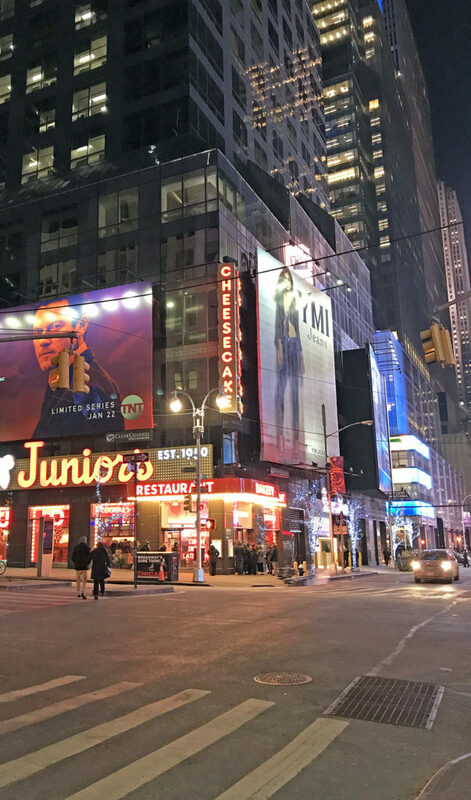 So if you’re ever in NYC looking for a place to eat, I recommend any of these restaurants.